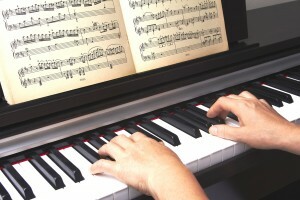 Why is it important to practice the piano? Learn more about why piano practicing is critical if you’re serious about becoming a good player. Read on right now to learn a whole lot more about why piano practicing is important for success. If you were to ask any musician how important practicing is in terms of acquiring overall skill and mastery of the piano—you won’t be too surprised. Most will say that it is the most important thing to do when trying to learn how to play the piano. On the same note if you were to ask the same musician how often they personally practice they will likely say they don’t practice nearly as often as they should. Why is this? Why do so many people acknowledge how important practicing is yet never do it as much as they know they should? Simple human nature usually makes us choose the easiest option first. Would we rather tediously work diligently for something in the future or get instant gratification? This is the main problem that plagues many musicians. Piano practicing in particular is an important instrument to always stay up to speed with and always practice on. Why is this? It’s simple: the piano is an instrument where habit and practice will “program” your fingers and your mind over time, making it easier to develop your own style and skill with it. If you are serious about playing the piano well you should be practicing as much as humanly possible. Staying consistent with your training is another important thing to do. Simply practicing one week and then not again for a month won’t do any good—you must be consistent and regular. Why is this the case? Being consistent forces your brain to become accustomed and “program” itself. Without being regular with your piano practicing you will lose your momentum and it will ultimately make learning the instrument even more difficult in the long run. The solution to this is to set a specific time and frequency in which you’ll do your practicing and stick to it at all costs for the best results. Picking out a convenient time where you won’t be subjected to distractions or disturbances is a good idea. It can be after work or school, right after eating dinner or whenever is best for you and your schedule. You will likely have to resist the strong urge to put off practicing sometimes but if you fight past that feeling you will be well rewarded with a more refined playing style and skill set. The absolute minimum you should be piano practicing is 30 minutes. If you want to you can very well practice for longer but always remember the bare minimum must be 30 minutes. If for some reason you are forced to miss a practice session don’t worry about it—you can always pick up again the following day or make up for lost time by extending another practice session. If there is some reason you are missing several days frequently then make sure you look into what is causing the disturbances and try to resolve them as quickly as possible so you can get back on track. While it’s easy to not practice enough it can also be easy to practice too much if you try to over do it. Practice only as much as you can without getting too burnt out or you might end up simply wasting your time as you won’t be gaining any value from the piano practicing.